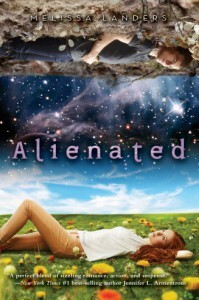 From the gorgeous cover to the original premise, Alienated was Extraterrestrial Extracurricular entertainment. When Cara Sweeny agreed to host cosmic hottie Aelyx from the planet L'eihr as an exchange student, she wasn't prepared for how much opposition she would encounter from everyone, even those friends closest to her. It seems most people have no interest in interplanetary relations. For his part, Aelyx is there only grudgingly and with an agenda of his own. An agenda that has nothing to do with making nice with humans who he views as inferior to his people in every way. That is, until Cara starts thawing his cold unemotional nature and he begins to see that maybe all human customs aren't useless after all. This was a quick fun read. 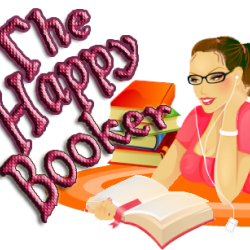 The main characters were lively and likable and I thoroughly enjoyed the witty banter between Cara and Aelyx. I had a few issues with Cara's shady friend; I didn't think that the kind of disloyalty she showed should have ever been forgiven or excused. It took a little away from the story for me which is why I rated this a 4 instead of a 5. Otherwise, I enjoyed the dialog and the way the characters interacted and played off one another. Aelyx was so very socially awkward and would say such offensive things without considering how it may sound to those hearing him, and Cara's exasperation with this particular personality quirk of his, had me laughing out loud several times. I wish Alienated would have taken us readers to experience life on L'eihr alongside Cara who I'm sure would experience plenty of her own social faux pas in a society so different from our own. I hope that this idea is explored in future books in this series. I absolutely plan to continue this series, this is exactly the kind of brain candy read that I love relaxing with. I would recommend this to anyone who enjoys a lighthearted romantic read and doesn't need a lot of "sci" in their sci-fi.